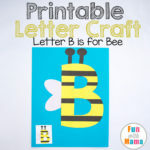 These printable letter B crafts for preschoolers, pre k and kindergarteners include a printable lowercase b is for butterfly and letter B is for Bee craft. 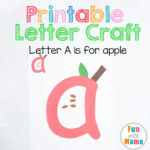 My 2 year old toddler and 3 year old daughter love our printable letter crafts. 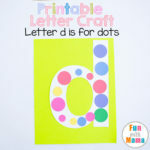 Add these simple activities to your letter of the week curriculum. 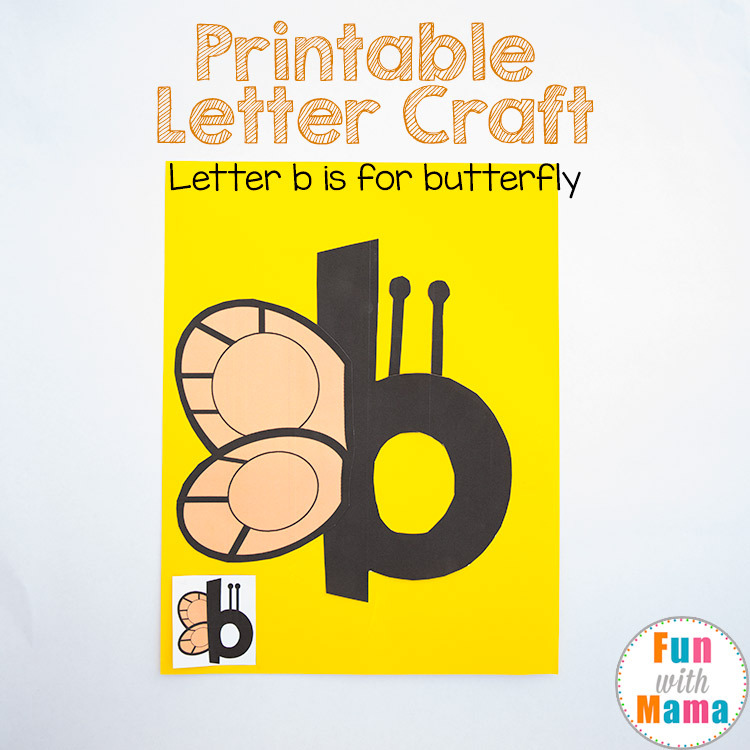 Printable Letter B is for butterfly Craft – you can find this at the bottom of this post. This activity encourages a child to work on their fine motor skills, visual perception and hand eye coordination. 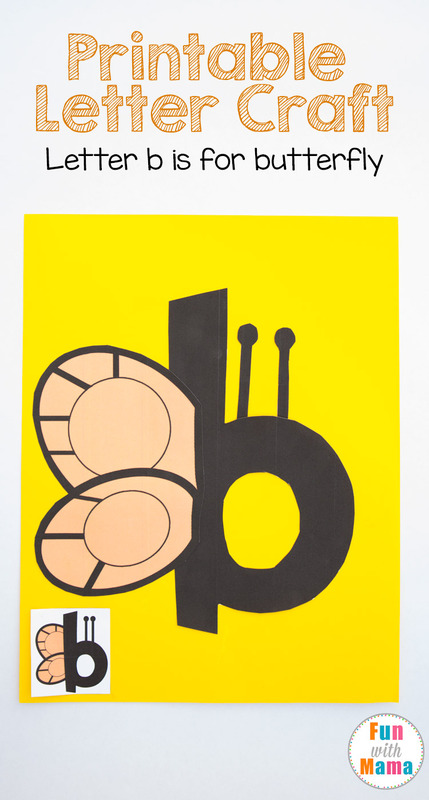 They can also be reminded of the letter b sound. Step 2: Cut out the pieces. Younger preschoolers and toddlers will need you to cut out the pieces for them but older preschoolers, pre k and kindergarteners will be able to cut these pieces out themselves. Step 3: Glue according to the example. I like to have the kids glue the pieces onto a colorful piece of card stock so that they can add it to their alphabet notebook. 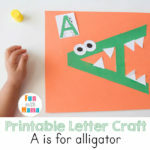 My toddler loves to go through all the letter crafts that she has done.